Dr. Shanlyn Newman is a second generation chiropractor. Together with her father they have been serving Mesa and the surrounding residents since 1972. 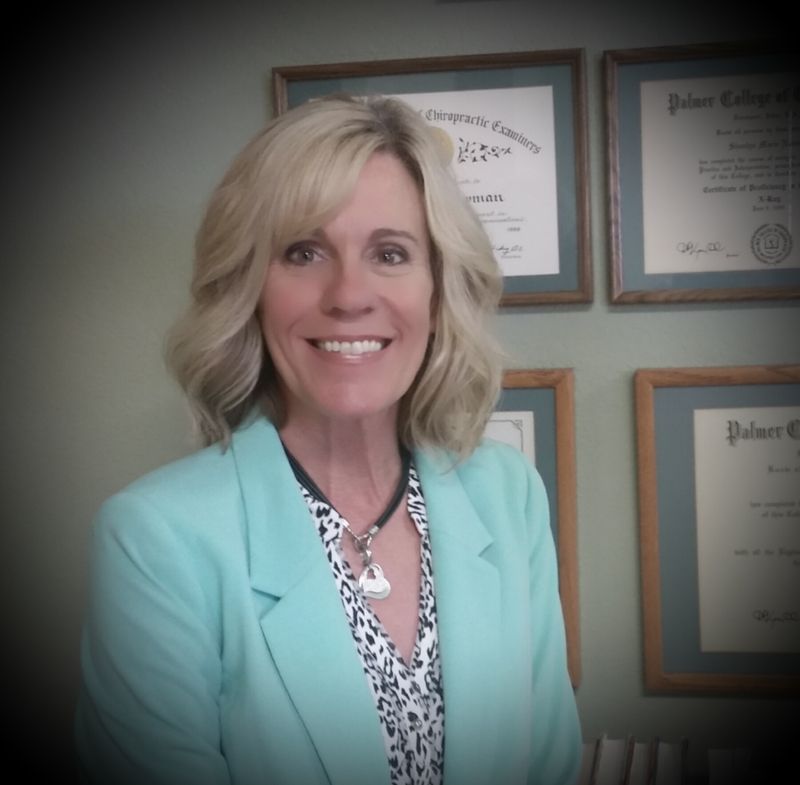 She followed in her father’s footsteps and graduated from Palmer College of Chiropractic in Davenport, Iowa in 1989. There she was trained in the Palmer Methods, physiotherapy and the Activator Method. She began studying this technique while still a student at the college as she knew she would be practicing and caring for her father’s patients back in Arizona. She went on to become Advanced Proficiency rated with Activator Methods for over 20 years. She also uses Kinesiology or muscle testing, Koren Specific Technique, cold laser therapy and other gentle non-invasive procedures to effectively help you regain and maintain your optimal health. Dr. Newman, together with Office Manager JoAnne Gaspari and Chiropractic Assistant Christine Smith, welcome you to our comfortable office, where your care and time will always be respected.